It's hard to believe something that weighs less than the ratty cotton T-shirt I’m wearing right now is as warm as my duvet. 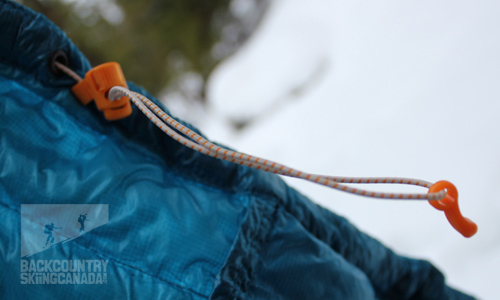 The Ghost Whisperer Hooded Down Jacket by Mountain Hardwear is alarmingly light – when you first pick it up your immediate thought is “What’s missing?” – and it’s surprisingly warm. It tips the scales at a meager 212 grams (7.5 ounces) and on a recent overnight trip in the Selkirks I was comfortable hanging at the top of a blustery peak waiting for my snowshoeing, snowboarding companions. (Yes, my skis and I were up there in the –10°C conditions for a long time.) 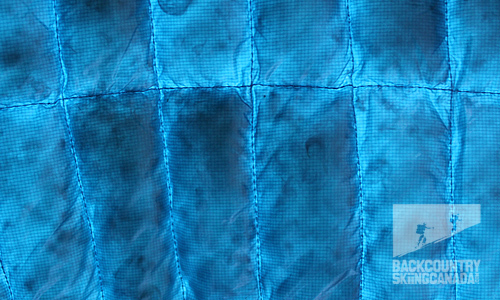 The Ghost Whisperer jacket is simplicity personified: only two hand pockets and one cinch tab at the hem. No hood drawstrings, no reinforced elbows and no internal pockets with Ipod compatibility, which might be a problem for some people. But when you consider the jacket packs up to the size of a soft ball and weighs less than one, suddenly the extras seem unimportant. 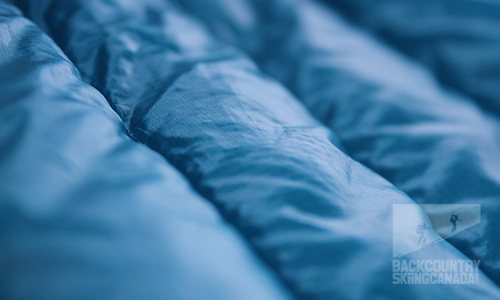 And with it’s 850 fill down insulation, this is the great layer in any backcountry situation. 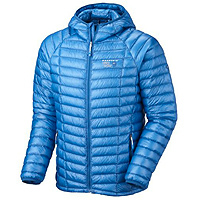 - At 212 grams (7.5 ounces) the Ghost Whisperer is the lightest hooded down jacket on the market. 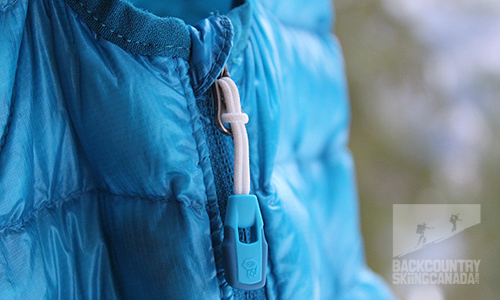 - The carabiner clip in the pocket can be attached to a harness or strap when the jacket is stuffed. 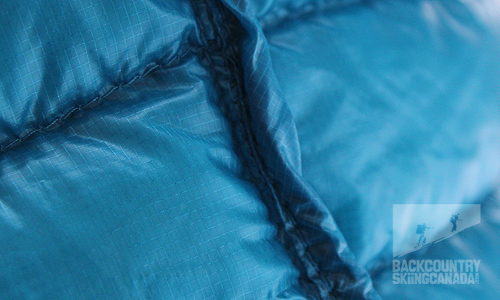 - The fabric is 70 denier ripstop nylon and it’s incredibly comfortable and soft. 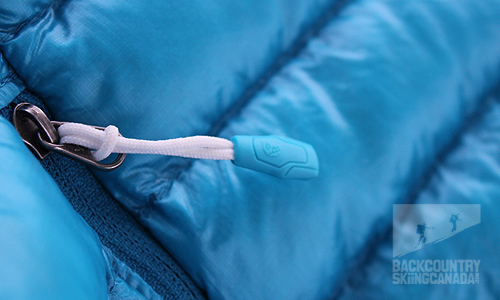 Light zipper pulls save precious grams. Micro cinch at the hem to keep the weight down. Front zip with zipper garage. 70 denier nylon rip stop exterior to keep it tough. So light and thin you can see through it, but it is still super warm. 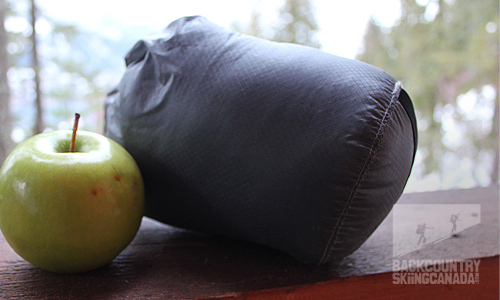 Stuff sack not included but safer than storing it in the jacket hand pocket. Watch the video to see it in action and the hood which is a nice feature. 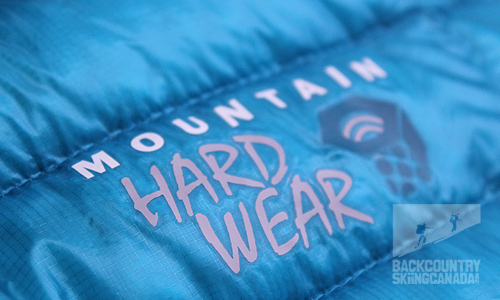 I can’t emphasize enough just how light Mountain Hardwear’s Ghost Whisperer is: it’s like wearing a layer of tissue paper that’s as soft as Charmin Ultra. Yet it’s as warm as a freshly laundered towel. This down jacket will forever go with me in my pack because my back will never notice it’s in there. In fact, this jacket may go with me everywhere because I can literally put it in the back pocket of my jeans. At first glance, the Ghost Whisperer seems exceptionally thin – too thin considering you can see light through the seams. Plus I question what would happen if the jacket were to get drenched. But that’s what outer shells are for. This really is the perfect layer when you’re resting at the summit or on the deck with a cold beer. 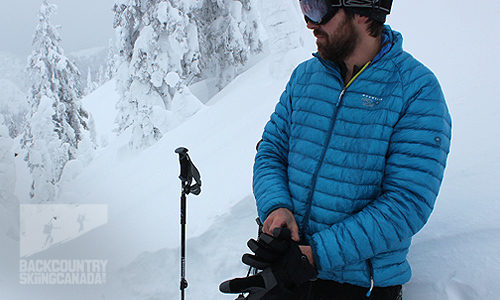 For weight and functionality, the Ghost Whisperer is hands-down the best down hoodie out there. LIGHT! The Ghost Whisperer packs up to the size of a softball and weighs less than one (212 grams). Used as a layer it’s very warm and, because of its size, this jacket will now be a permanent fixture in my backpack.